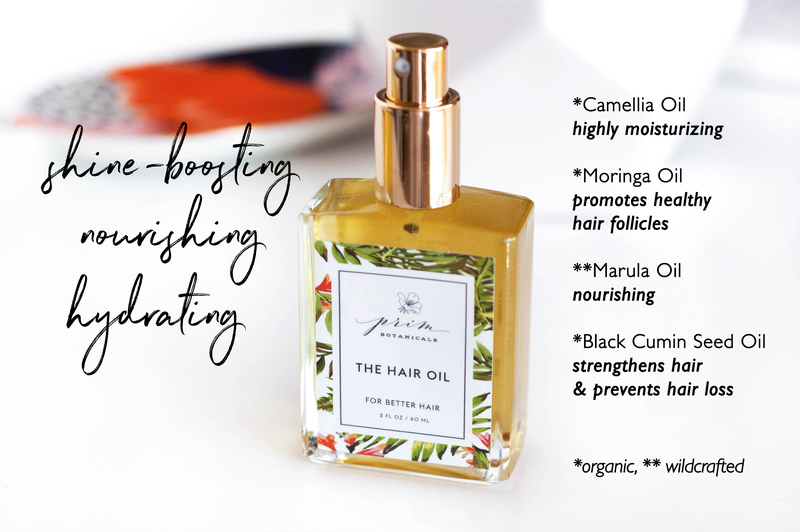 “The Hair Oil is that one product you might not really understand how to use, and then can’t imagine your life without it. It truly ends bad hair days! It makes your hair so much more manageable and takes away that poofy look you can get after washing your hair and letting it air dry. The Hair Oil is for everyone. It’s great on color treated hair and for all hair types. 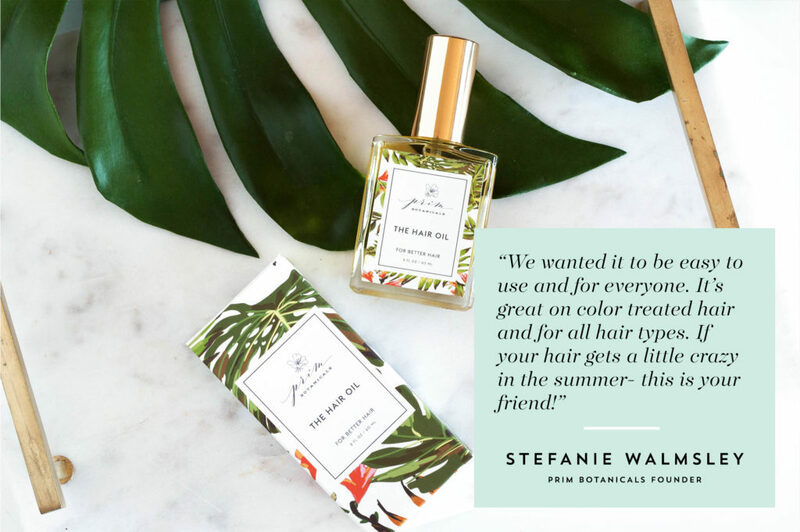 If your hair gets a little wild in the summer – this is your friend! Below are some of Stefanie’s expert tips to incorporate The Hair Oil into some regular mane maintenance. As an intensive weekly hair mask: Apply enough to thoroughly cover your hair and massage from root to tip. Leave in for at least 30 minutes. As a regular mini treatment: Apply a few pumps and brush through hair to evenly distribute – paying attention to the ends – before hopping in the shower. A little goes a long way! Heat Protectant: Pump into hands and rub together before evenly distributing through damp hair from your ears down before styling with heat. The result? A seriously smooth blowout to rival your stylist’s. Beach ready: Keep this in your beach bag! It really helps fight humidity in a way that feels almost magical. It also protects from heat, chlorine and the sea. Mane tame: Apply a few drops to dry ends or run a bit through your hair to tame flyaways. Avoid the top 2 inches of your hair (or use just the teeniest amount) to avoid heading into greasy territory. Conditioning boost: Apply 1 pump to your conditioner for an extra boost. Fine, thin hair? Everyone can benefit from a small amount on their ends or as hair treatment. Skip your regular conditioner and use sparingly as a leave-in-conditioner.